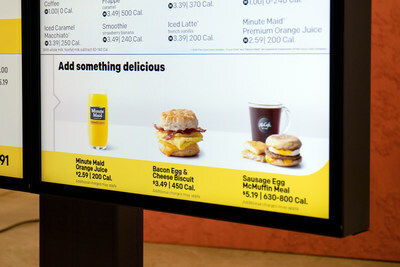 CHICAGO and NEW YORK and TEL AVIV, Israel, March 25, 2019 /PRNewswire/ -- McDonald's Corporation (MCD) and Dynamic Yield Ltd. today announced an agreement by which McDonald's will acquire Dynamic Yield, a leader in personalization and decision logic technology. 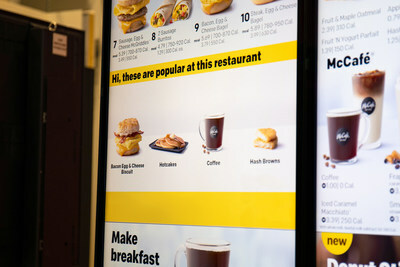 With this acquisition of Dynamic Yield, based in New York and Tel Aviv, McDonald's builds on its significant technology investments for growth. Liad Agmon, co-founder and CEO of Dynamic Yield, added: "We started Dynamic Yield seven years ago with the premise that customer-centric brands must make personalization a core activity. We're thrilled to be joining an iconic global brand such as McDonald's and are excited to innovate in ways that have a real impact on people's daily lives." Upon closing, McDonald's will become sole owner and will continue to invest in Dynamic Yield's core personalization product and world-class teams. Dynamic Yield will remain a stand-alone company and employees will continue to operate out of offices around the world. Dynamic Yield will also continue to serve their current, and attract future, clients. 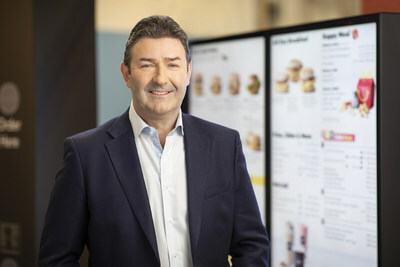 McDonald's is the world's leading global foodservice retailer with nearly 38,000 locations in over 100 countries around the world. Over 92 percent of McDonald's restaurants worldwide are owned and operated by independent local business men and women. Dynamic Yield is an AI-powered Personalization Anywhere™ platform that delivers individualized experiences at every customer touchpoint: web, apps, email, kiosks, IoT, and call centers. The platform's data management capabilities provide for a unified view of the customer, allowing the rapid and scalable creation of highly targeted digital interactions. Marketers, product managers, and engineers use Dynamic Yield daily for launching new personalization campaigns, running server-side and client-side A/B tests, leveraging machine-learning for product and content recommendations, and employing algorithms for smartly triggered email and push notifications. Headquartered in New York, the company serves more than 300 brands across the world.